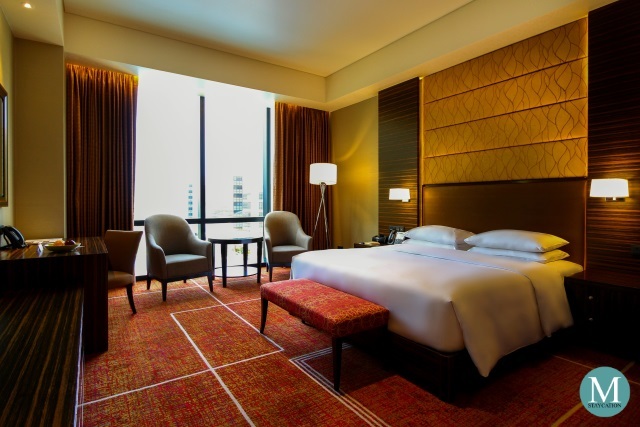 The Club Room at Hyatt City of Dreams Manila is luxuriously spacious at 50sqm and is designed in warm colors of paprika red, mustard yellow and chocolate brown. The high ceiling makes the room feel more spacious while the floor-to-ceiling window allows plenty of natural light inside the room. 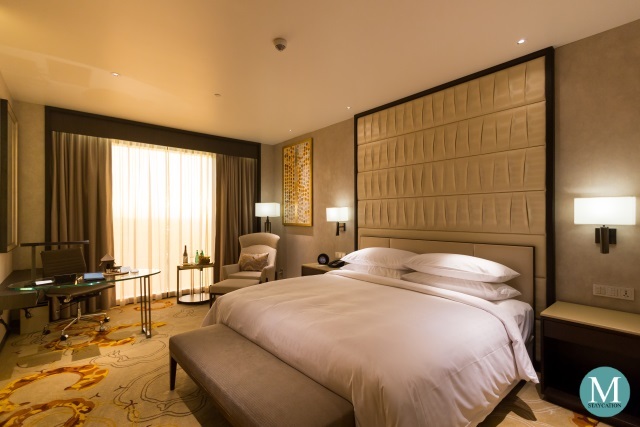 Adding to the luxurious feel of the room are the yellow accent lights which gave the room an elegant shade of gold. What I loved about this particular Club Room was the spectacular view of the whole City of Dreams Manila complex from the window. On the left was Tower II of Hyatt City of Dreams Manila where the Club Rooms are located, while on the right is Tower I. On the opposite end is Crowne Towers Manila, while the two towers of Nobu Manila stand in between. 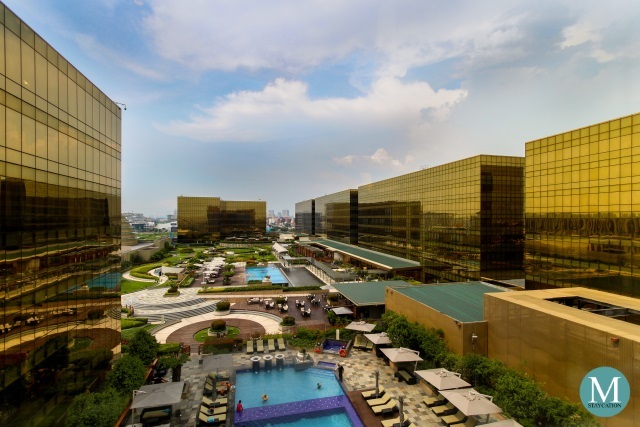 In the middle of all the glimmering golden towers of City of Dreams Manila is an urban oasis consisting of various pools and gardens. The Club Room where we stayed was furnished with a king bed, an end-of-bed bench, two bedside tables, two couches with a coffee table. 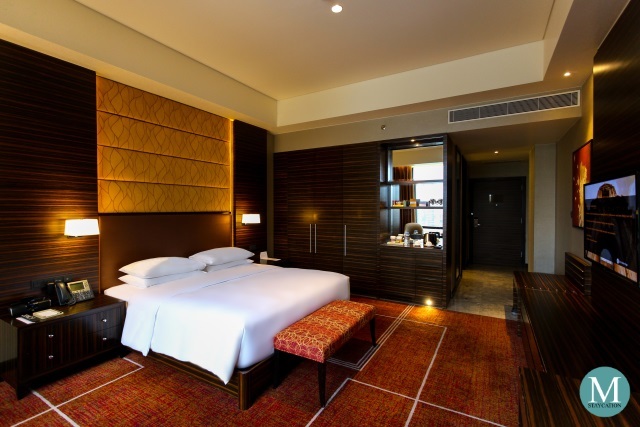 Business travelers will be pleased to find an executive writing desk inside the room where they can comfortably work with their laptops while staying connected through the complimentary wifi internet access. There's also a spacious closet cabinet and an in-room electronic safe big enough to fit a laptop. The room was also equipped with a 40-inch television with local and international cable channels, an iPod docking station, and a Cisco speakerphone. There's an iron and ironing board stored inside the closet. 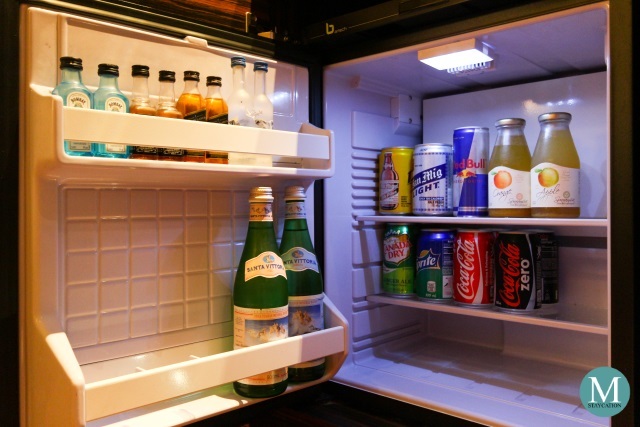 Other in-room amenities include a minibar stocked with soda, beer, bottled juices and a selection of premium liquors. There's also a coffee and tea making facility including complimentary bottled water, Twinings teabags and Nescafe coffee. 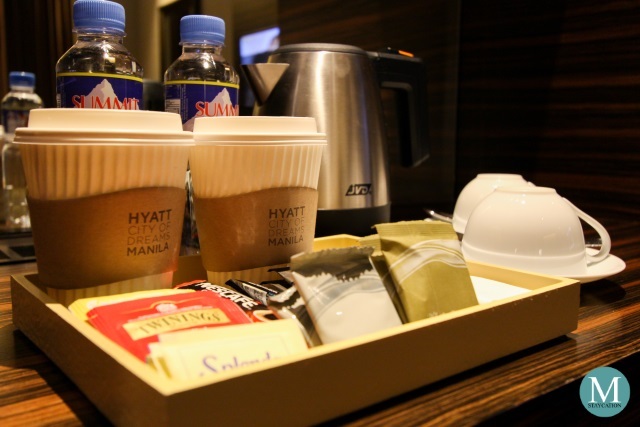 In addition to the coffee cups, Hyatt City of Dreams Manila also provided disposable coffee cups which I find really smart especially for guests who are always on the go. These disposable cups are also perfect to keep your coffee warm while inside the room. The bathroom was equally spacious. 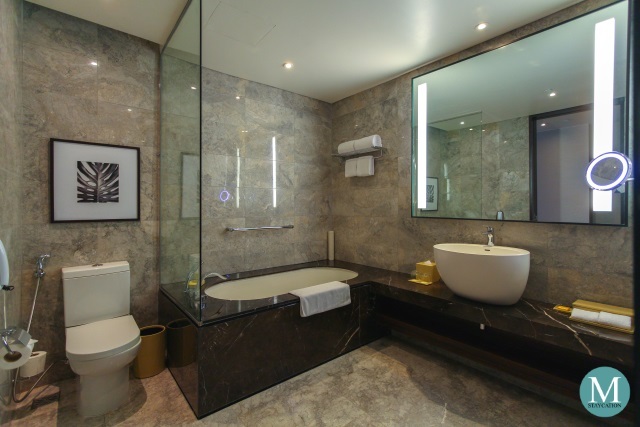 It is one of the biggest ensuite bathrooms in Manila that you can find in a similar room category. The floor and the walls were completely lined with marbles. The bathroom was spotless and looked very well maintained. It had a separate bathtub and walk-in shower. The walk-in shower had a handheld shower and a rainshower head. 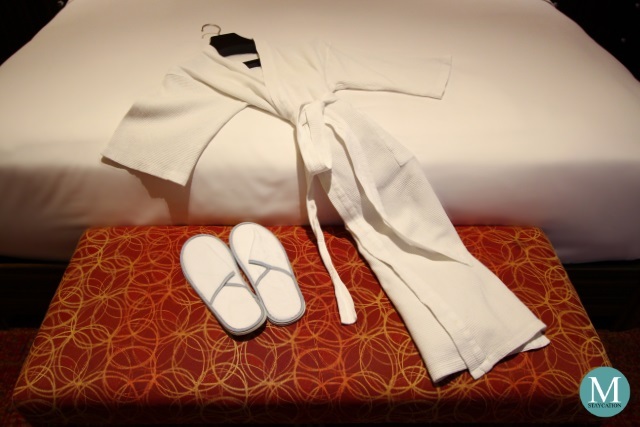 Clean towels were provided including a foot towel, hand and face towels, as well as bathing towels. 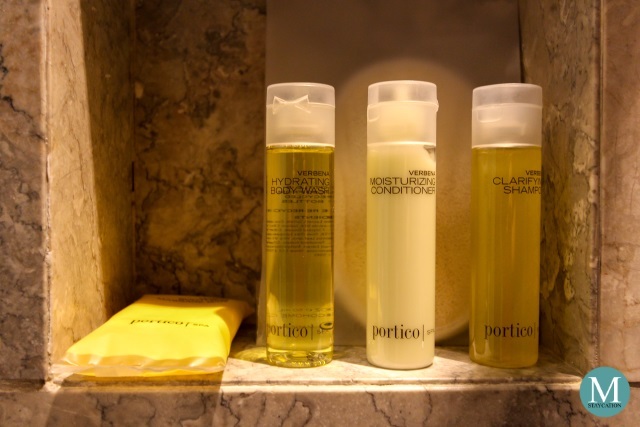 Body and bath amenities provided were from Portico Spa. 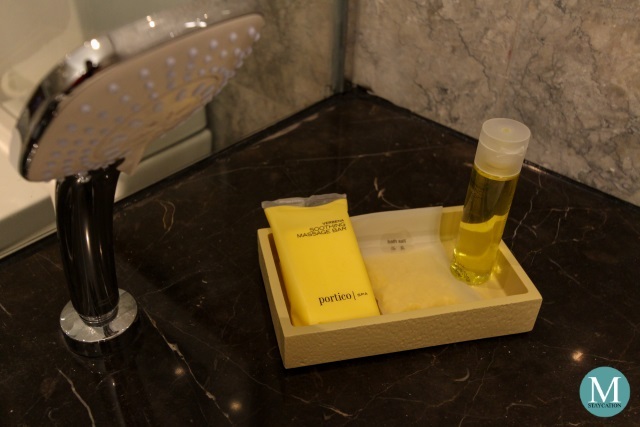 If you have stayed in other Hyatt hotels before, you would have noticed that Portico Spa is the standard brand of complimentary toiletries provided by Hyatt globally. I loved the refreshing Verbena scent of the shower gel and shampoo. In addition to the bath salt, there's also a massage soap bar and shower gel provided next to the bathtub. There's a single basin with a huge mirror mounted above it. There's also plenty of space on the countertop where you can place your personal toiletries and other body and bath items. 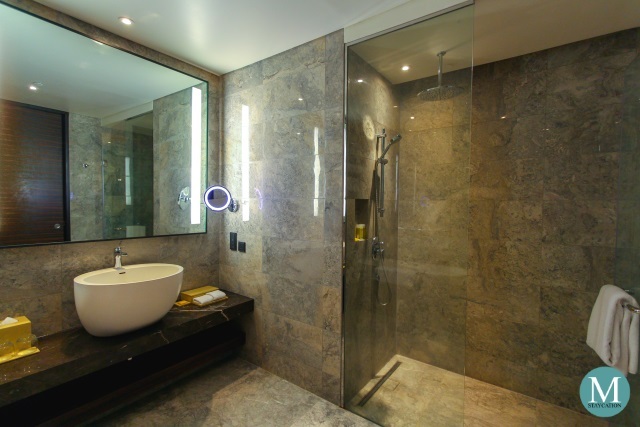 The toilet was installed with a bidet spray which is a plus for this Hyatt property. 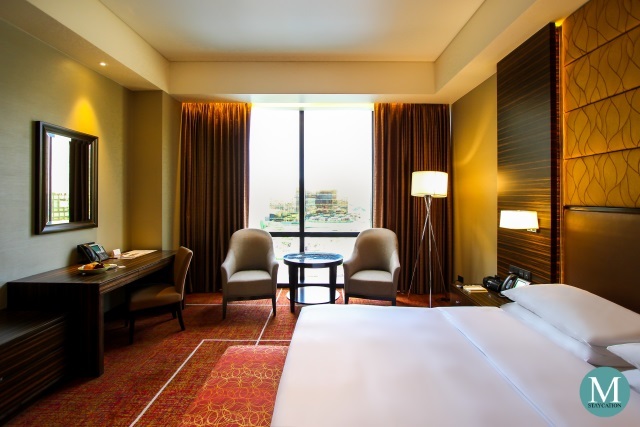 Since we were on a staycation at Hyatt City of Dreams Manila, we spent most of our time inside our bedroom sleeping and recharging energy after a busy week at the office. What we loved the most about our room was the bed. 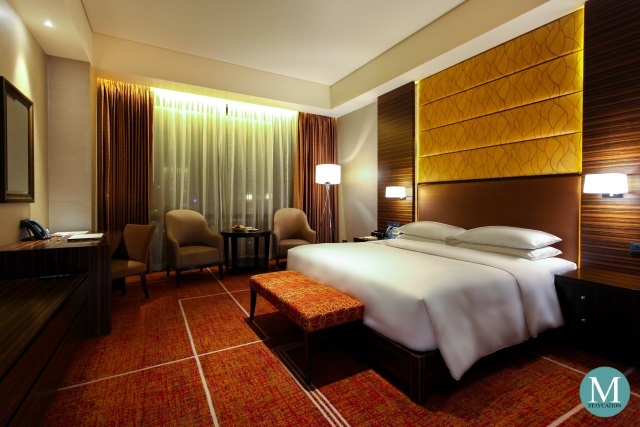 It is one of the most comfortable hotel beds we have tried here in Manila. 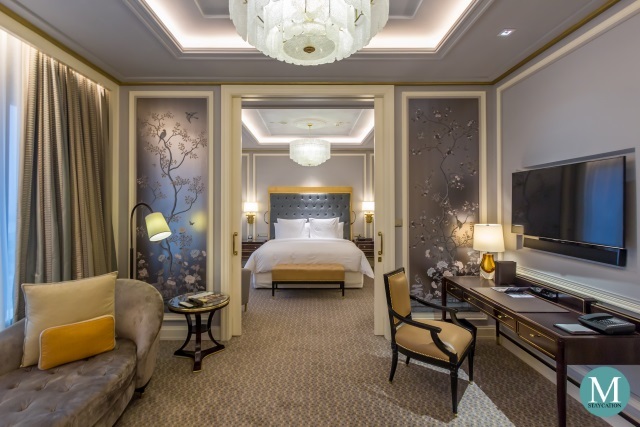 Guests staying in Club Rooms also enjoy exclusive Club Lounge benefits such as private check-in and check-out, complimentary all-day beverages, afternoon tea, pre-dinner cocktails and a host of personalized service. 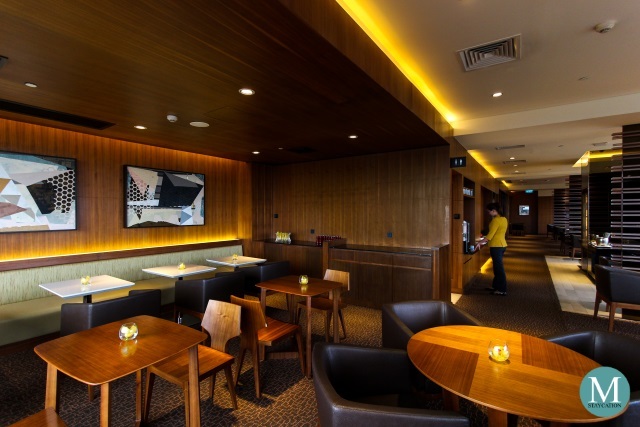 Club Room guests also get to choose to have their breakfast at the Club Lounge or at The Cafe (the hotel's buffet restaurant). 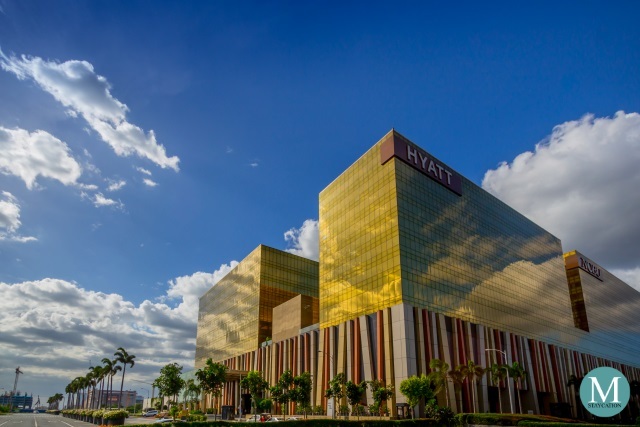 Hyatt City of Dreams Manila is luxury hotel set in the world-class City of Dreams Manila integrated resort and casino, a rising destination for high end shopping, dining and entertainment in Manila. 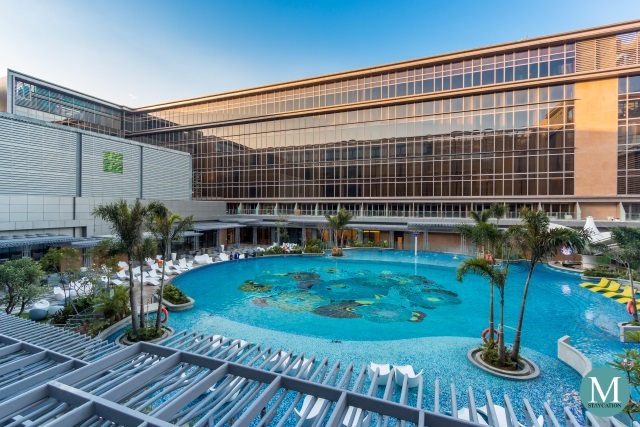 It features 265 elegantly designed guestrooms, an international buffet restaurant, a lobby lounge and a stunning swimming pool surrounded by lush gardens.